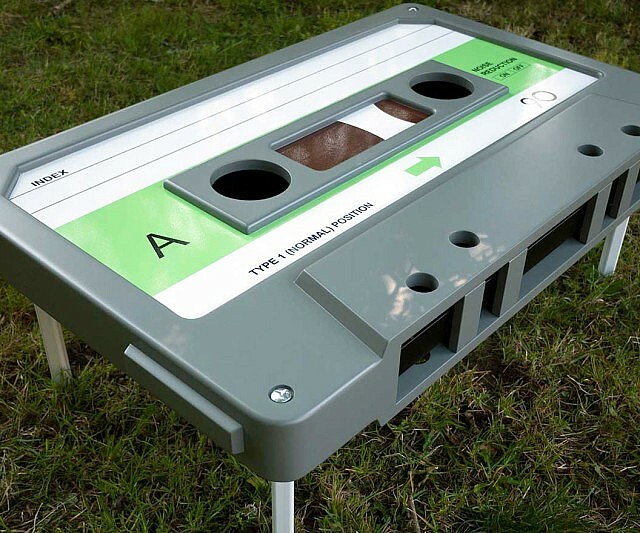 Pay homage to a part of your past and recall the awesomeness of the era of mix tapes with this cassette tape-shaped coffee table. The gigantic cassette tape sits atop custom made steel legs and is built with removable remote and bottle holders, cleverly positioned in cassette’s holes. The coolest part is probably the cassette’s label, which you can actually write on because that part is actually a white board. 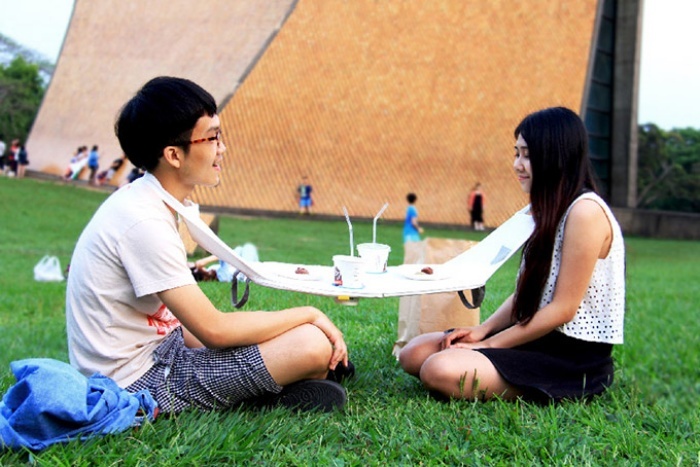 Neat huh? The cassette tape coffee table was commissioned by Rob Ireland and built by Ross Langley. You can check out more photos here. By David Ponce on 02/05/15 • Leave a comment! 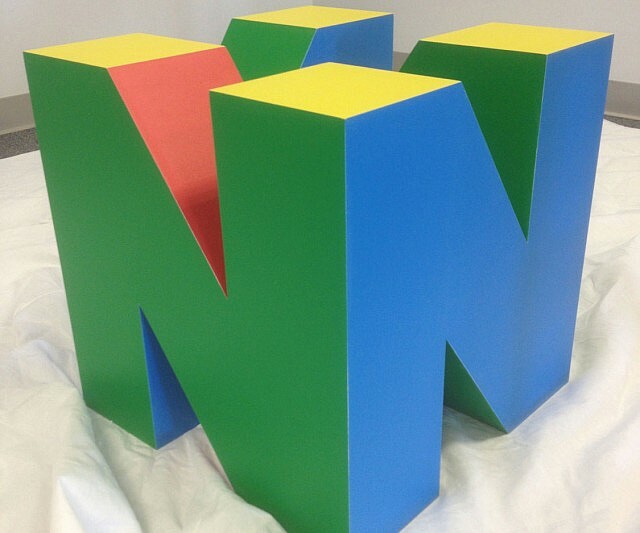 You’re looking at an 18 inch Nintendo cube, made from MDF, which is basically compressed sawdust. 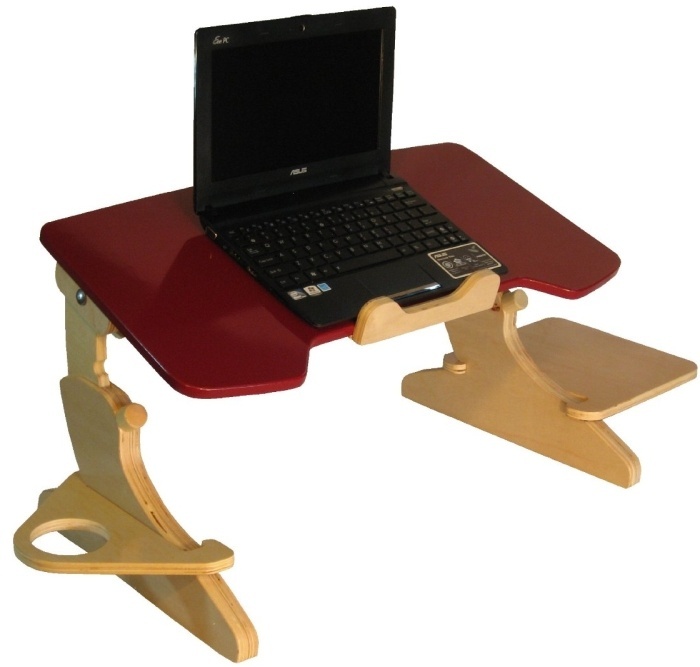 It’s denser than plywood and should weigh quite a bit. It’s for those of you wanting to adorn your living space in a way that clearly declares your love for Japan’s more whimsical gaming company. You’ll have to buy the glass top separately, but at $125, it’s a cool way to decorate your dorm room or bachelor pad… maybe not so much your family home. But hey, maybe your SO is chill like that. There’s StumbleUpon on the world wide web to help you stumble upon sites, articles, and blogs that you might find interesting. 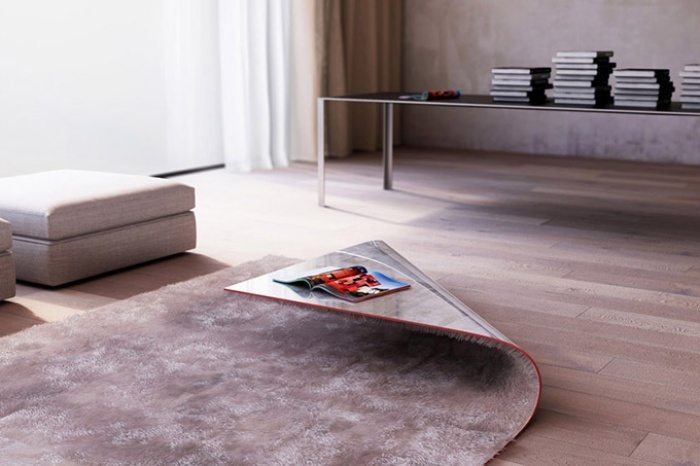 There’s also a Stumble Upon for the real world which happens to be an unusually designed piece of furniture: it’s a rug that doubles as a coffee table as well. Designed by Alessandro Isola, the Stumble Upon might just literally make you stumble upon a magazine on the table by tripping you up. I doubt that’s Alessandro’s intention with his design, though. Remember those floppy disks from the yesteryears which only allowed you to store up to 1.44MB of data on each disk? That’s not enough space for an mp3 file containing a full song, let alone a single high-res image file. It just goes to show that data storage has truly come a long way since then. Paying tribute to storage’s humble beginnings are the creative duo behind Neulant van Exel: Axel van Exel and Marian Neulant. 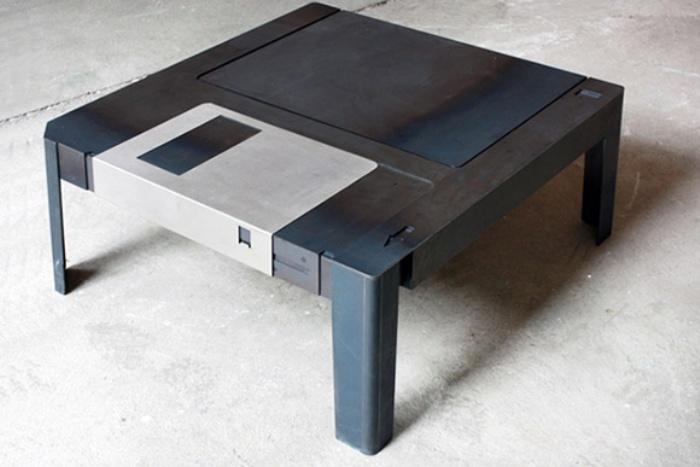 They took inspiration from the classic 3.5″ floppy disk to build the Floppy Table, which is a really cool coffee table constructed from welded hot-rolled steel and stainless steel. 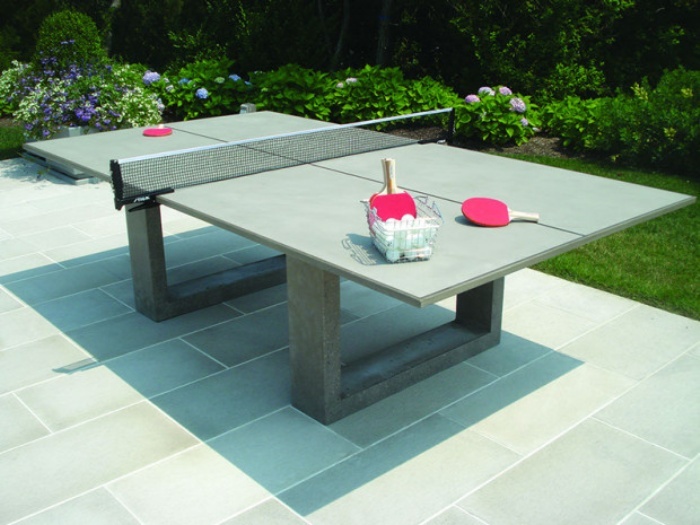 The best thing about the table is the secret compartment that’s revealed by moving the metal shutter sideways. Hit the break to check out more images of the table.